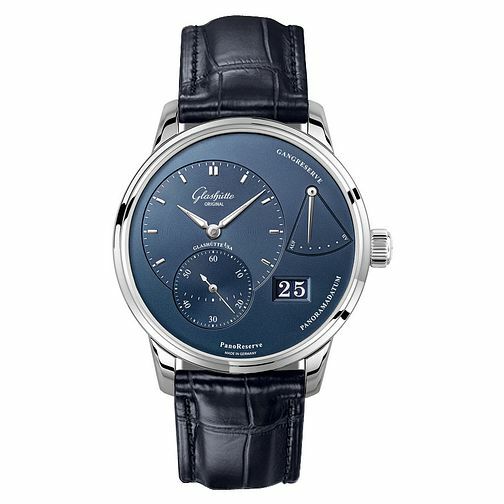 Experience a more unique approach to watch design with this sophisticated timepiece from Glashutte. The main dial and subdial sit more loosely in the dial, with a power reserve in the right section and a date aperture added for extra efficiency. The watch is finished with a black alligator strap for more comfortable wearing.